For most long gone are the days where you had to hang the clothes on the line to dry. Now most of us have a small laundry rooms, in my case a closet, where we store our washer and drier. When I use to live in my apartment our laundry was located in the balcony so I really didn’t enjoy doing the laundry but now it’s a different story. 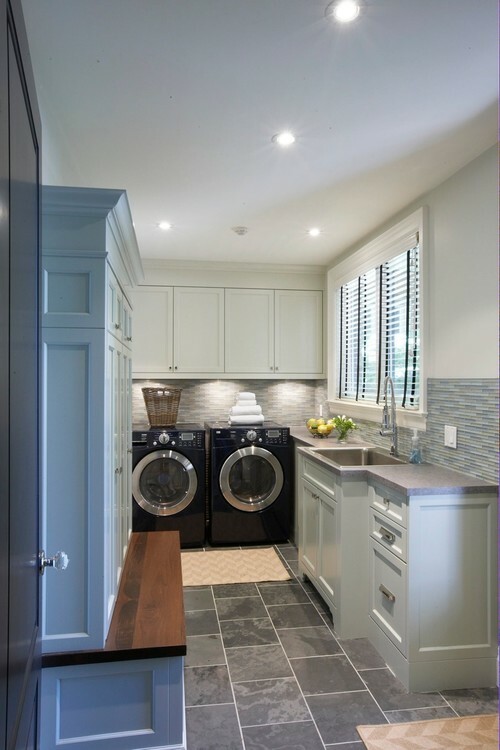 if you have an actual laundry room – kitchen worthy cabinets will provide you with the space and storage that you desire. It will look good and will last forever. 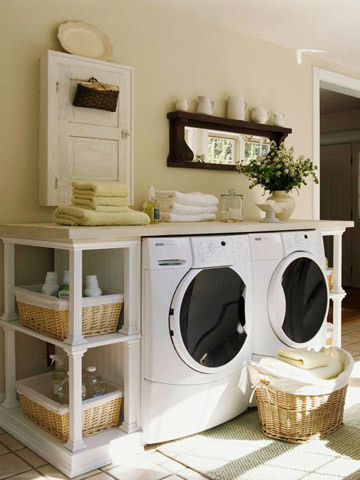 A counter space is a must for all the folding of the clothes that you would be doing. 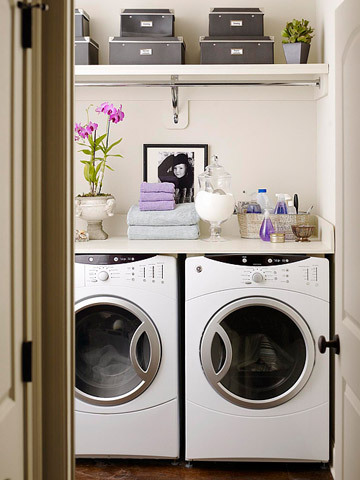 Not to worry if you do not have a designated laundry room if you are tight on space. Don’t be afraid to use baskets and hanging shelves on your walls to create more storage. Be creative- use wallpaper or different color paint to create a background drop. 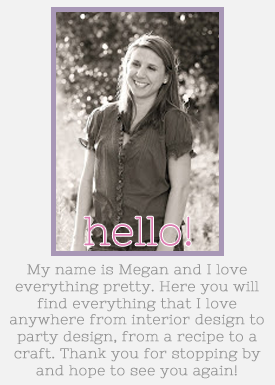 I am loving this inspirations for small spaces. 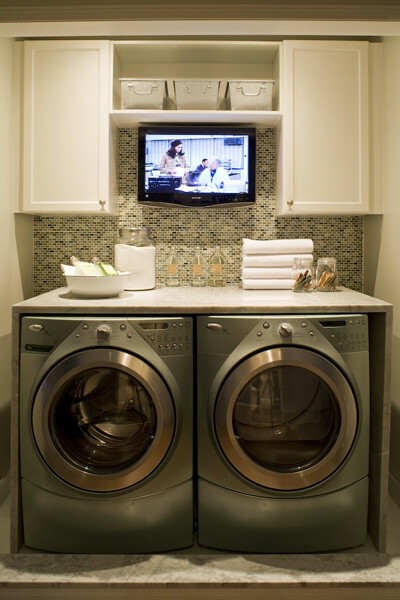 Do you have your own laundry room or are you dreaming of one? One day I would love to have an actual laundry room rather than a closet, but I am thankful that at least I do not have to do my laundry on my balcony anymore. I truly hope that you get the laundry room of your dreams one day. Ill try to work a little harder from now on so that you can do the laundry in comfort, Ha Ha Ha.